"Thank you San Fran! Your city is beautiful. It was the perfect place to complete the best tour of my life!" 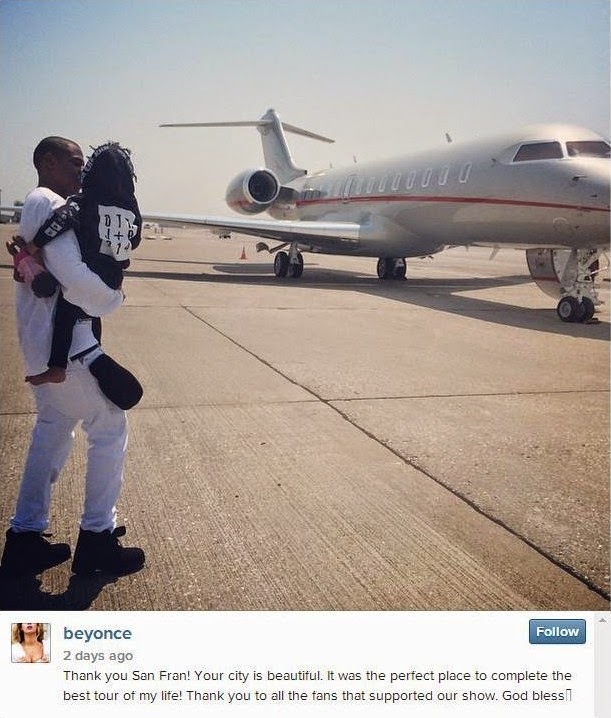 she captioned the photo of Jay Z and baby Blue next to a jet, all but confirming that the venerable duo was heading out of town the night before Kanye's set. Maybe we should have seen this coming after they weren't able to attend Kanye's Marriage to Kim Kardashian in May.